Wow Wow Lemonade – Overworked. Underfed. 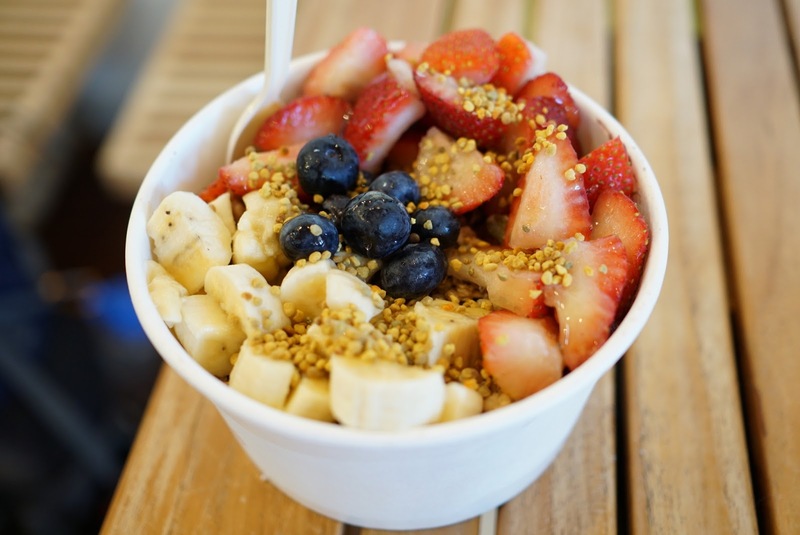 I had my first and best ever acai bowl when I was on the Big Island. 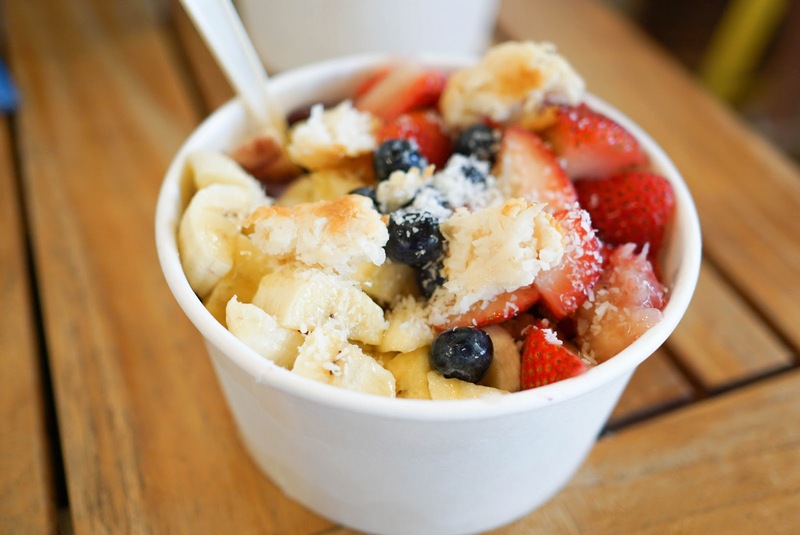 Ever since then, most acai bowls have fallen pretty short. The acai is either too icy, too watery, or too sour. The toppings are a little plain or uninspired. Wow Wow didn’t quite live up to my first acai bowl experience, but it was much better than any of the version I’ve had on the mainland. I didn’t get to try much of this. I’m not sure the others in my party understood what an acai bowl was. The fruit, coconut, and acai part was pretty standard. What made it special was the coconut custard at the bottom. It was creamy and not overly sweet. It paired well with the tart acai. I was happy that the acai part was not too watery or sour. The Annoyers and I destroyed our bowl. Our lemonade was not too sweet. The pineapple made it Hawaiian and the ginger made it a bit zingy. 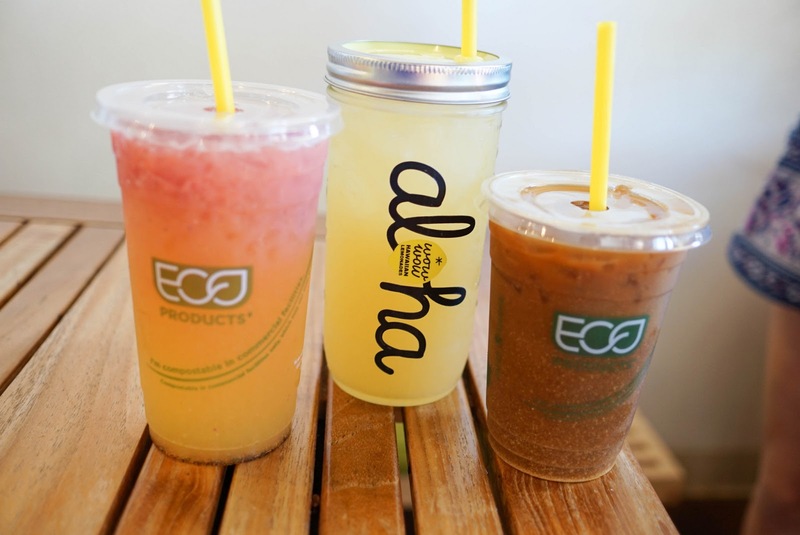 I mostly got the lemonade so I could get the cool reusable hipster glass. I made good use of that glass during the trip. The strawberry lilikoi was a beautiful ombre, like a Maui sunset. It was a little bit sweeter than the pineapple lemonade. We paid an extra $5 for the reusable mason jar glass. I used it again during the trip. It was very festive. Too bad I didn’t get to take a picture of it on the beach like all the other Yelpers. The lemonade a might be in the name of the store, but I think you should come by if you’re looking for a refreshing quick breakfast. I can’t really call this stuff light because one bowl is quite the calorie bomb.